Raindrop cake, which is also known as Japanese water cake or mizu shingen mochi, is one of the most stunning looking desserts you can get. It looks like a raindrop and tastes sweet and smooth. 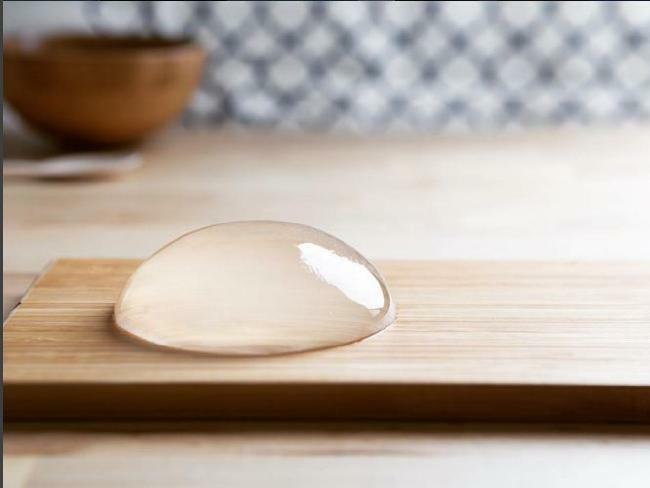 Raindrop cake is traditionally made with agar (kanten) rather than gelatin but for the most translucent look agar works best since gelatin can be a bit cloudy. This transparent confection went viral in Japan a couple of years back but thanks to the internet interest in this unusual dessert there is a resurgence of interest. Unfortunately many people either assume it’s hard to make or you need some ingredients which are difficult to find. This is not the case! You need powdered agar which is available from the supermarket or an Asian food store, along with some white sugar and water. Those three ingredients are all you need to prepare the basic raindrop. However we are taking the dessert to the next level by showcasing it on earth and grass (or chocolate cookie crumbs and matcha green tea powder!) Then it really will look like a freshly landed raindrop on the ground or delicate dew on a spring morning – you get the idea. 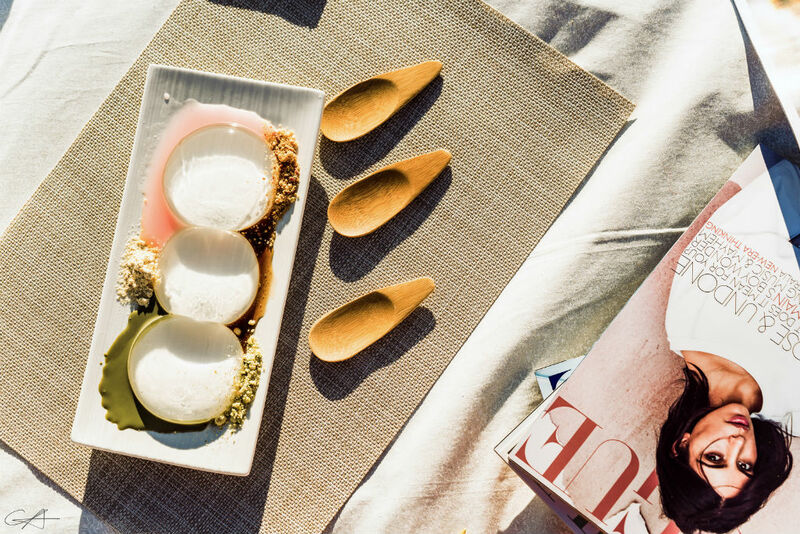 Now you can see why this is the dessert everyone’s talking about! The reason we are using matcha in this recipe is to pay homage to the fact this dessert is a Japanese creation. The subtle green tea flavour goes nicely with the chocolate and offers additional flavour since the raindrop cake itself has such a subtle taste. Combine the sugar with the agar in a saucepan, then add a little of the water and mix. Continue, adding the water gradually, until all the agar has dissolved. The sugar should dissolve right away but agar can take some time. Now bring the mixture to a boil then simmer it for 2 minutes or until every trace of the agar has dissolved. Let it cool slightly and divide it between 4 spherical moulds. Chill it in the fridge for 1 hour or until set. While the desserts are setting you can put the chocolate cookies in a resealable bag and use a rolling pin to break them into crumbs. Alternative you can pulse them a few times in a food processor for the same result. Divide the cookie crumbs between 4 serving dishes (rectangular sundae-type dishes are good here) and drizzle over a little chocolate syrup if liked. Now sprinkle the matcha green tea powder over the top of the chocolate so it looks like baby grass. Check your raindrop cakes have set, then add one to each dish on top and serve immediately. If you want to add more ‘grass’ why not toss a couple of tablespoons of unsweetened shredded coconut with a few drops of green food dye, then combine the matcha green tea powder with this, to make a more filling dessert?